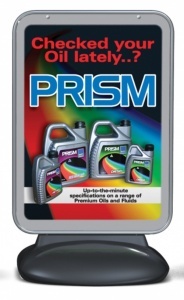 The Sentinel is the ultimate in forecourt poster display. 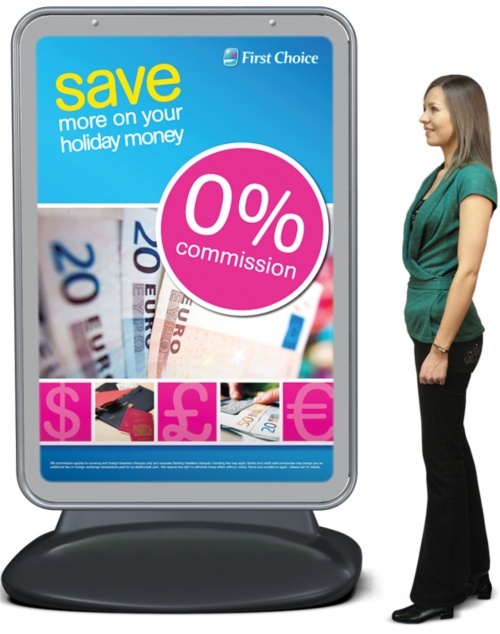 With a solid powder coated steel frame the Sentinel is a double sided unit with a silver border and frame as standard. 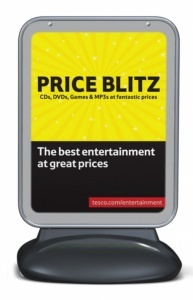 The Sentinal features a large water fillable polyethylene base which has been carefully selected for optimum stability. 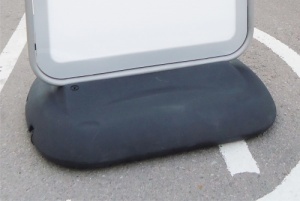 The base is black as standard to hide marks and dirt and it comes with built in wheels to aid movement. 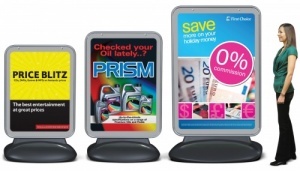 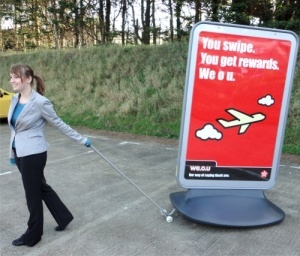 Magnetic poster covers offer superior weather resistance and poster security.